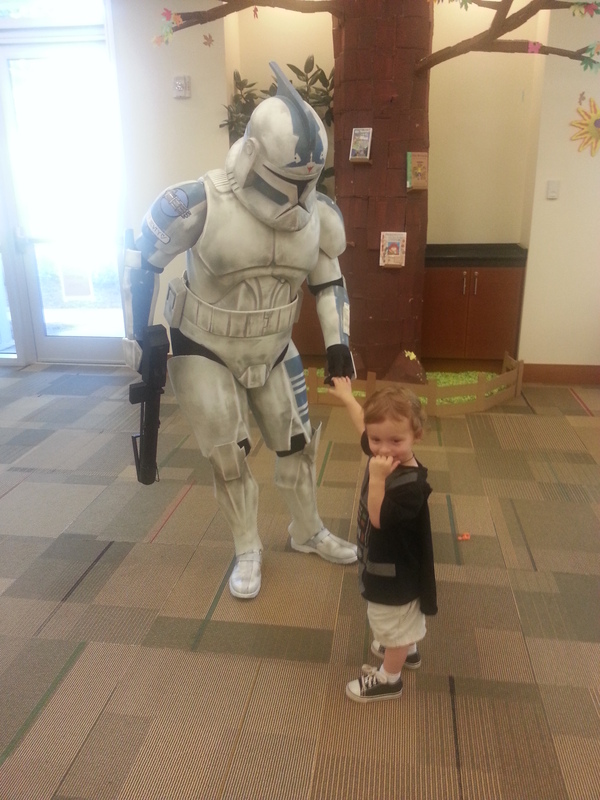 It was Star Wars Reads Day at the local library. The boy had almost as much fun as I did. And yes, he is wearing a Darth Vader shirt with a cape!